This reef is just south of Paradise and opposite a spot where some palm trees stood. It is also near the Money Bar, formerly “Dzul Ha”. Currents can swirl and change directions here. 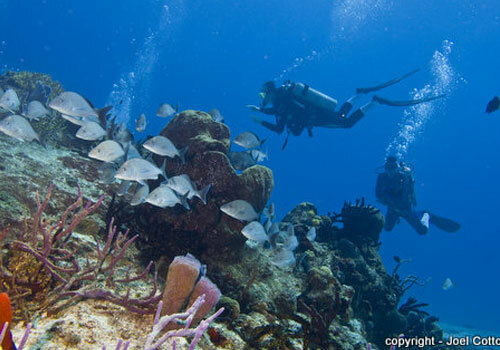 Cozumel Las Palmas Reef is an easy Cozumel Underwater Diving which can be done as an alternative to Paradise. The rough tube sponges, brain coral, and rope sponge predominate. Much of this Reefs of Cozumel was damaged or covered with sand from Hurricane Rita. It is recovering nicely. The sand now provides a striking visual contrast to the coral and sponges which are growing again profusely. 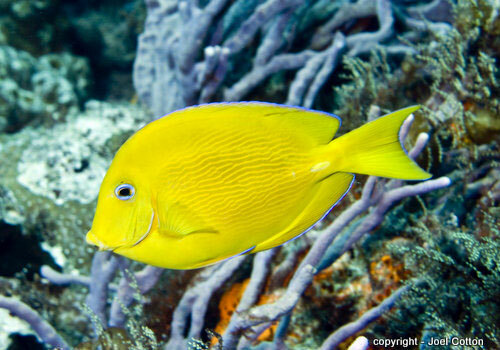 You can see Turtles, Honeycombed Cowfish, and Parrotfish in the open. 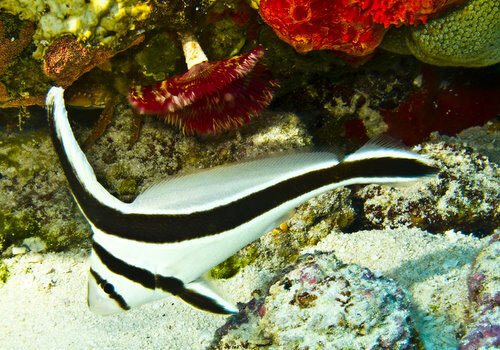 Near and under the coral heads look for lobster, juvenile tangs and Angelfish, and the occasional Splendid Toadfish. You'll see some lion fish also. In the sand, you will find sting rays, peacock flounder, urchins, and possibly a sea horse. 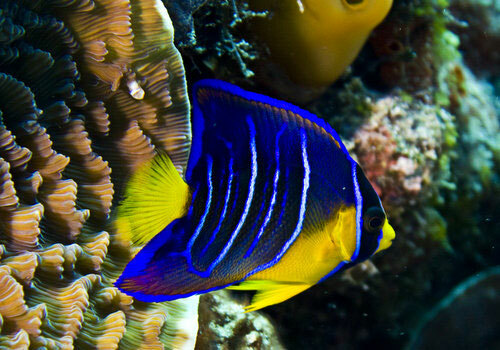 On any reef Reefs of Cozumel you can see any fish or animal at a given time. Below is a general guide.